Founded in 2014 at Harvard University, NUCLEUS VISION is an IoT & Blockchain based, contactless identification system, using nCash cryptocurrency to enable transactions across retail ecosystem. NUCLEUS VISION is an end-to-end technology solution that captures and provides previously un-accessed data to retailers and other ‘brick and mortar’ businesses through its proprietary blockchain and real time sensor technology. NUCLEUS VISION currently has 19 ‘ION sensors’ deployed in 10 live retail establishments, supporting a valuable data network for unique visitor IDs and corresponding user data. Our proprietary IoT sensor technology doesn’t depend on any RFID, WiFi Bluetooth, or even facial recognition technologies to operate. Long term, our intention is to bridge the gap between the online and offline retail world. Our venture is backed by several prominent investors including Tim Draper, Reliance Capital and more. Telecommunications plays a vital role in the functioning of our technology, and we have partnered with Vodafone, Reliance Communications and Idea Cellular to bring our platform to market. The early focus of our adoption strategy revolves around the retail sector. However, the NUCLEUS VISION platform has applications in various markets. We believe the following areas represent promising markets where NUCLEUS VISION can be applied and add value. We believe that the model for today’s successful retail venture is a physical store and integrated digital retail channel that is able to execute a broad omni-channel retail strategy. For this sector, NUCLEUS VISION’ IoT solution enables retail brands around the world to build and execute a customer-focused shopping experience that leverages data from both in-person and online channels. We dive quite deep into NUCLEUS VISION’ retail sector use-cases in our whitepaper, and how NUCLEUS VISION shifts the power of data control and monetization to the customers themselves, bringing forth the largest and widest application of decentralization and crypto-currency the world has seen till date. Giant corporations around the globe have traditionally monetized their customer data solely for their own benefit, and have maintained exclusive control over said data. NUCLEUS shifts the power of data monetization to the customers themselves, enabling them to take full control of their own data, and the power to monetize it. 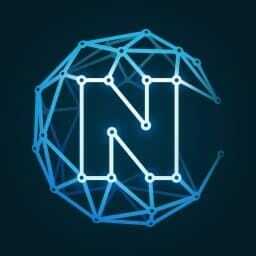 The nCash token will be the currency for this data exchange, to remunerate data providers and to reward customers​ ​for​ ​sharing​ ​their​ ​data.​ ​This​ ​is​ ​decentralization​ ​in​ ​its​ ​truest​ ​and​ ​strongest​ ​form. IoT solutions have already penetrated residential and industrial security systems, and it will become a huge opportunity in the coming years. As it stands, the industry is severely lacking a comprehensive and intelligent solution that is also cognizant of privacy. We believe that NUCLEUS VISION is primed to tackle this problem. NUCLEUS VISION’s smart IoT sensors can become an indispensable component of wider residential, commercial and industrial security systems by identifying potential threats and intruders, and securely transmitting this data to concerned authorities over our blockchain network. This information can be utilized both in real time security, where premises can be monitored for unexpected persons, as well as after an incident, where our IoT sensors can be used to identify attackers. Micro-payments in the form of nCash tokens will enable this secure data transfer across various involved parties and our sensors. 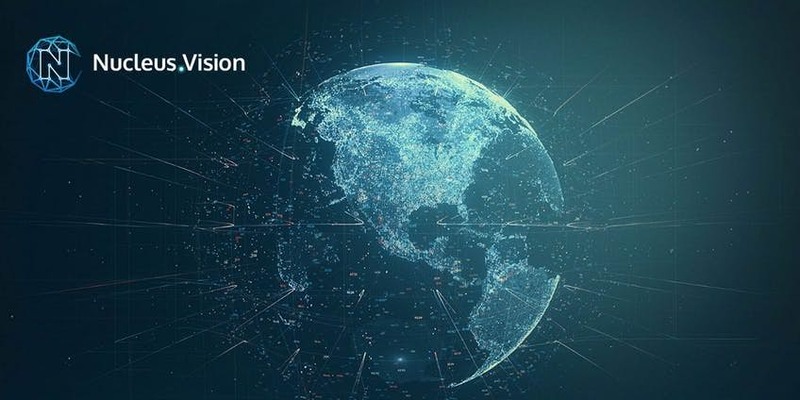 NUCLEUS VISION will enable an ecosystem of secure, trustless, independent and permissionless exchange of data over blockchain, to help make the world a more safer place for everyone. After NUCLEUS VISION revolutionizes the retail and physical security industries, we have our sights set on connecting the world through an ecosystem of interconnected IoT devices. NUCLEUS VISION’s technology team has already begun putting together the frameworks for NUCLEUS VISION Home, NUCLEUS VISION Cars, NUCLEUS VISION Health, NUCLEUS VISION Agri, NUCLEUS VISION City and NUCLEUS VISION Air. 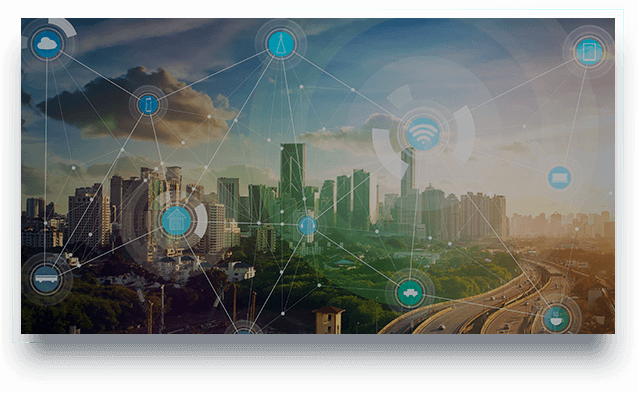 We believe that the NUCLEUS VISION platform has massive applications for smart communities/smart cities, agriculture, transportation, healthcare, and home monitoring. So how does NUCLEUS VISION work? Other merchants who have customer data, such as banks, airlines, ISPs, telcos, online portals, etc. NUCLEUS VISION has built a technology solution for the brick-and-mortar retail industry that enables retailers to collect real time data from their customers and provide relevant offers based on that data. Our platform uses blockchain, sensors, data and intelligent analytics to create automated solutions that generate customer loyalty. For retailers, NUCLEUS VISION’s IoT solution provides insights into customer behavior that were not previously possible, such as the ability to track customer visits, to aisles browsed and paths taken in-store, favorite products and brands, and predict future customer behavior in-store. This helps create a personalized customer experience that provides for greater customer satisfaction. A universal loyalty program based on a proprietary cryptocurrency known as nCash, which can be used across NUCLEUS VISION’s partner stores. The convenience of working within a single global loyalty program, that can be used across retailers and, for the very first time, even be exchanged for fiat currencies. This is the vision we have for ​NUCLEUS VISION​. We believe that NUCLEUS VISION has indispensable use cases across industries and we have decided to begin with retail. The opportunity is huge; every year, 2.6 trillion people walk into over 91 million physical retail stores around the world, of which less than 1% of users are identified and less than 0.5% of data is captured by these offline retailers. With NUCLEUS VISION, we want to empower brick-and-mortar retail stores while personalizing the offline retail shopping experience to each and every customer, and give every user complete control over and power​ ​to​ ​monetize​ ​their​ ​own​ ​data. We aim to achieve this grand vision in coming 3 years. We are delighted to have you as a part of our journey. We shall soon share more updates. Until then, stay tuned at NUCLEUS VISION.